While the Community of Saint Martin defines itself as being totally at the service of bishops and dioceses of the universal Church, it has its own House of Formation. For six years, under the leadership of the priests in charge of the formation, the seminarians seek to discern and develop their vocation for the service of souls. 1). First of all, it is necessary to learn to life under the same roof, to pray together as well as sharing an apostolic mission, in order to exercise the munus sanctificandi, that is, the mission of the sanctification of souls. 2). It is also necessary to know how to listen, to the Word of God to begin with but also to the magisterium of the Church, in order to be able to pass on a word, an example, a service to others; this permits the exercise of the munus docendi, that is, the proclamation of the faith. 3). Finally, it is necessary to learn to depend upon one another, in order to exercise the munus regendi, the mission of governing. 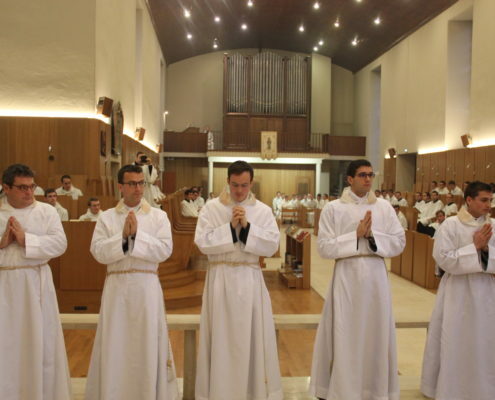 The new Ratio of the formation of future priests, published in the end of 2016, prescribes that every entry to the seminary should be preceded by a propaedeutic year, and rends thereby systematic and universal a mode of operation already largely spread. Without waiting for the new Ratio to come into force, and after having presented its project to the Congregation for the Clergy, the Community of Saint Martin introduced its own a propedeutic year ad experimentum for the September 2016 entry, called “Year of Saint Martin”. The main particularity of this “Year of Saint Martin” is to be a propedeutic year adapted to the specific character of the Community of Saint Martin. 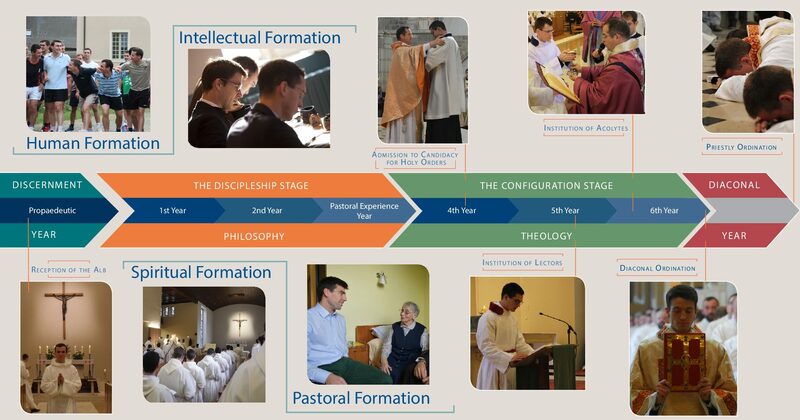 The young men who participate in this year of pre-discernment, benefiting at the same time from a supervision and a place dedicated to them, follow a course articulated around four major axes: apprenticeship of the fraternal life in common in the way it is lived in the Community of Saint Martin; the initiation to the spiritual and liturgical life (including, among other fundamental elements, lectio divina and a continued reading of the Bible, mental prayer, personal spiritual direction and the discovering of the character of Saint Martin); the beginning of the basics of the intellectual formation (introductory courses, catechetical education, general culture, working methods, etc.) ; and finally, through experiences of charity works, initiation to the apostolate and retreats, they can deepen their vocational discernment. At the end of this “Year of Saint Martin”, the young men who have decided to do so will make an official application for admission to the House of Formation of the Community of Saint Martin. It consists of 6 priests. They live all the year at the Mother House, sharing the life in common with the seminarians. 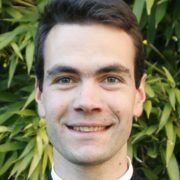 Other priests of the Community, serving neighbouring parishes, also provide spiritual direction to seminarians. Some of them are likewise professors in the School of Theology. 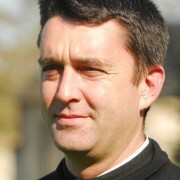 Don Louis-Hervé GuinyResponsible for the formation. 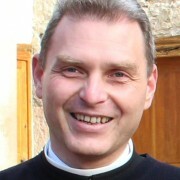 Ordained priest in 2000. Professor of Moral Theology and Spirituality. Don Pascal-André DumontSpiritual director. Ordained priest in 1997. General accountant and chancellor. Professor of Canon Law. Don Philippe SeysSpiritual director. Ordained priest in 1990. Professor of Exegesis. 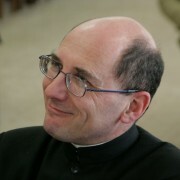 Don François-Régis MoreauDirector of the School of Theology. Spiritual director. Ordained priest in 1997. Professor of Dogmatic Theology. 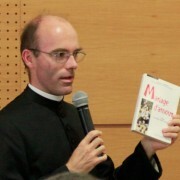 Don Jean-Rémi LanavèreDeputy Director of the School of Theology. Spiritual director. 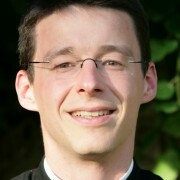 Ordained priest in 2012. Professor of Philosophy. Don Enguerrand de LorgerilSpiritual director. Ordained priest in 2014. Professor in Moral Theology. Don Augustin AzaïsSpiritual Director. 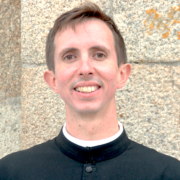 Ordained priest in 2015. Professor of Moral Theology. The maintenance services practiced at the house – assigned in turn to everyone – contribute to the education of the seminarians who, wanting to become priest or deacon, are called to be men of service. Everyone meditates the Word of God, in particular the texts of the liturgy of the day. The fruit of this meditation then nourishes the intimate dialogue with Christ in the mental prayer. The Lauds is the morning praise, in which the whole day is consecrated to God in the light of the risen Christ. The relaxation and the sport brings together the seminarians, teaching them not only the awareness of the others, but also the necessary attention to the body and the health, so precious in order to always be available on the apostolic field. The reading of spiritual masters of all periods nourishes the spiritual life of the seminarians and lets them discover all the richness of the saints and the spiritual currents which the Holy Spirit has given and gives to the Church. The seminarians study with their brothers of the same year in the class room, and may have daily tutoring by the more advanced seminarians. Vespers, at sunfall, is the office of thanksgiving for all the blessings received from God. Compline is a privileged time to enter in the peace of the night while examining our conscience and recommending ourselves to God so that the Lord Almighty may grant us a quiet night and a perfect end. Two evenings a week are also devoted to relaxation (spiuritual group talks, movies, etc). The life in a seminary must be harmoniously divided between prayer, work, rest, and fraternal service. The Eucharist unites all the activites of the day for from it ensues the truth of choral praying and pesonal prayer, the depth of intellectual effort and fraternal charity. After the celebration of morning mass, a great housework is organized in which evryone takes part, followed by an hour of sport. 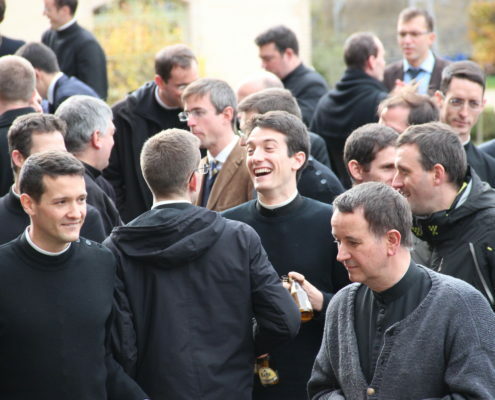 In the afternoon, the seminarians have a gregorian chant rehearsal and a long time of service for their assigned responsibilities (sacristy, garden maintenance, secretary, laundry, IT, library, …) Afterwards, the Day of the Lord is introduced by a spiritual conference and the first vespers. The morning is consecrated to the celabration of solemn mass at 11:00 a.m. preceded by hour and a half of lectio divina. After a festive lunch, the afternoon is free for the welcoming of families or a hike in the countryside.